What is a Daddy Long Legs? Daddy long legs are known for a common myth that they are the most venomous spider known to man but are unable to penetrate this venom into humans, as they have no teeth or physical means to do so. While the various versions of this story are interesting, they are not true. 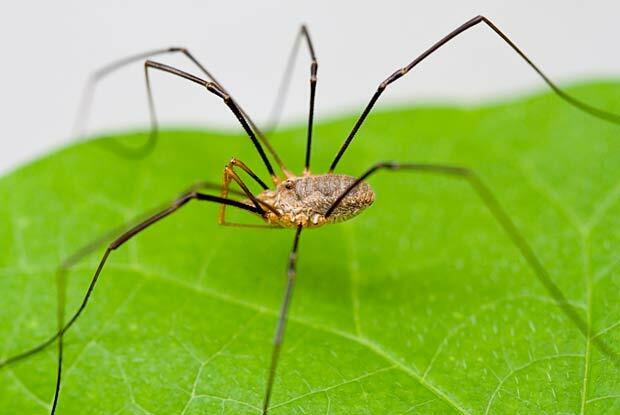 In fact, daddy long legs are not spiders at all; they are more closely related to harvestmen. They do, however, hunt and eat other spiders, such as the brown recluse and black widow, which are particularly venomous. Webbing is a strong indication of daddy long legs in your home and may be more of a nuisance than the creature itself. The webs are large and irregular and are commonly found in many domestic dwellings. They are found in many countries in the world and like to live in moderate and hospitable climates. They can become a domestic pest, but their webbing is more likely to be a nuisance. This thick, irregular webbing may start to take over plants and walls if not quickly controlled. These creatures can web at an alarming rate and often produce a new web everyday to catch fresh food from. Webbing may also be found in plants, possibly indicating an infestation of other pests, such as spider mites. Give us a call today at 503.720.8559 to learn more about Daddy Long Leg Spiders or to schedule an inspection!